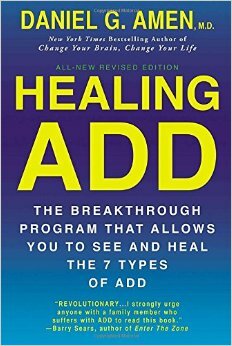 This course will present Dr. Amen's brain research and breakthroughs on healing ADD. The Six types of ADD are explained in depth for an understanding on potential causes-effects and approaches to interventions that assist educators in working with ADD students. Family issues and dietary adjustments are present as well as medication treatments for ADD. School strategies, stopping Automatic Negative Thoughts ANT's are presented to mitigate student miss-behaviors. Participants will research and develop writings and lessons/activities that apply the books concepts to the classroom and school environment for improving the learning experience of children with ADD challenges. Educators will learn about the latest brain imaging theories and an ADD questionnaire to identify the type of ADD children may have for narrowing a diagnoses. Teachers will be presented with the 7 Types of ADD that describe the potential causes and effects as well as for assessing student defecates and developing an IEP. Educators will examine parent and family issues, self-medication and substance abuse concerns that have to be considered when working with ADD students and parents. Educators will research the Amen resource website and be presented with numerous strategies for working with ADD students, families and interpersonal relationships. Teachers will develop lessons, activities and writings that help them understand and work with ADD students and their families in classrooms and school settings.